Your home is your most important asset, and here at Climate Shield Heating & Cooling LLC our priority is delivering perfect indoor comfort and energy efficiency for Westchester County, NY since 2014. Our highly trained, specialized and innovative technicians are committed to creating piece of mind and delivering excellence in the field of customer service. We offer the newest residential systems on the latest energy efficient technologies and products. When it comes to home comforts, don't settle for anything less then the reliability and confidence of receiving a full and comprehensive service, count on Climate Shield. We are a full service heating and air conditioning contractor. Jim's Heating & Air Conditioning offers your family or business the best Southbury HVAC products and services combined with a level of customer service that will exceed your expectations. Thank you for visiting Jim's Heating & Air Conditioning, and we look forward to servicing your Southbury Heating Services, Air Conditioning Services, Indoor Air Quality Services, High Efficiency Installation Services and Heating & Air Conditioning Repair Services needs. For more than 25 years, HARP Home Services has been a trusted local provider of quality, reasonably priced heating and cooling services in Windsor Locks and throughout Connecticut and Massachusetts. When you choose HARP Home Services, you’ll discover that we strive to follow the Golden Rule in our daily operations. Simply put, we treat people the way we would want to be treated. Your climate control specialist serving Torrington, CT since 1988 is Rich Carlson Heating & Cooling LLC. We are your comprehensive choice for heating and air conditioning offering honest prices on sales, installation, and service. We handle a wide array of systems, including high efficiency systems that will save you money on energy costs. Need emergency service? We are on stand-by for you 24-hours a day and available to repair all makes and models. 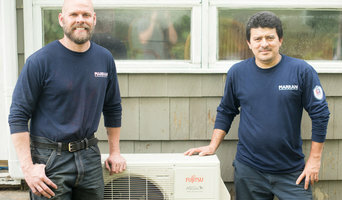 With over 20 years experience, Superior Comfort Heating & Air Conditioning are established and trusted HVAC professionals serving the New Haven county CT area. Keep It Cool, Inc has been is business since 1996 and has build the business based on word of mouth and reputation. We Install and service both heating and air conditioning. Commercial and residential. There’s no better way to heat your home and to provide your family with year-round hot water than with oil heat. And there’s no better company you can turn to for all your heating needs than Hoffman Fuel. As a local business we are a part of your community and as part of the Champion Energy family of companies we are able to serve you in ways other suppliers can’t. Our employees are highly trained professionals who understand your heating needs. Deliveries are made in clean, well maintained trucks and our drivers conduct themselves with the knowledge that they are visitors to your property. 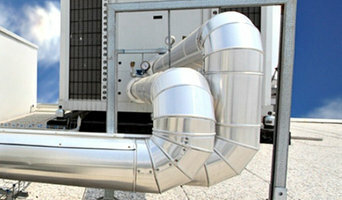 Air Alliance Mechanical is a hvac contractor / air conditioner service serving the Jamaica, NY area. 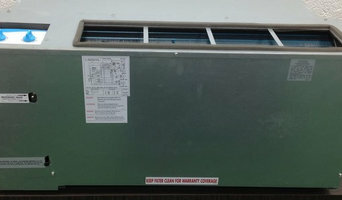 Services include HVAC, Residential HVAC, Commercial HVAC, Emergency HVAC Service, AC Repair, AC Service, Air Conditioning, Air Filter Systems, Air Heat Pump, Central Air, Ventilation Service, Duct Cleaning, Duct Work, Furnace Service / Maintenance, Gas Furnace, Heating Systems, Hot Water Heating, Indoor Air Quality, Radiant Heating, Tankless Water Heater and Thermostat Repair.